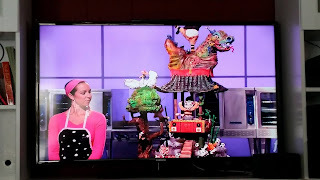 Our Exclusive Interview With Samantha Kestin from Cake Wars! 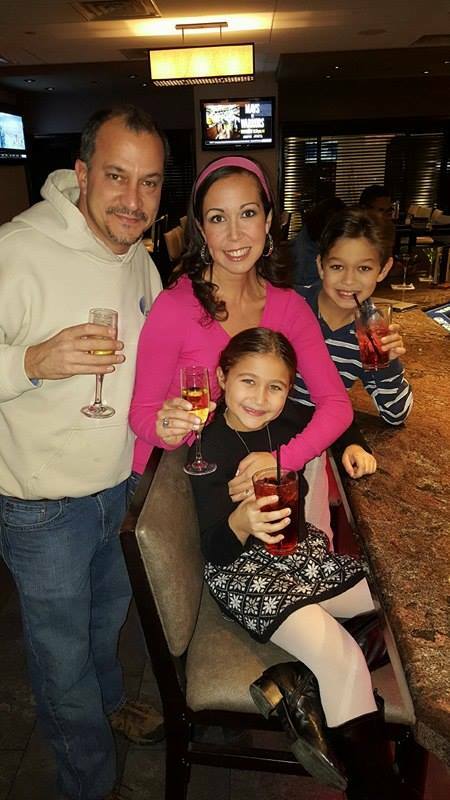 New Jersey native Samantha Kestin recently took center stage on the Food Network’s show Cake Wars. When we at Less Than Reality saw Samantha’s amazing cakes (you can see them here), we knew we had to talk to her. Fortunately, she was happy to answer our questions, and we’re sharing her thoughts with you below. First of all, what was it like being on Cake Wars? The show moves so fast, but you must have been on set for hours – that must have been exhausting! Being a part of Cake Wars on Food Network was absolutely amazing! Not only was the set gorgeous, all of the supplies and equipment and tools were top notch. It was extra exciting to be able to bake and create on the set where so much magic happens! The show does move really fast but fortunately, I am not a person who tends to get nervous. I felt very focused and ready! Your flavor choices on Cake Wars were fantastic. It seems like you took the most risk out of all of the contestants. Do you think you made the right flavor choices? As for my flavor choices for the Kung Fu Panda 3 episode, I decided to go all in, and lucky for me it worked! I used 5 out of the 7 secret ingredient including some really odd flavors such as garlic, sesame oil, rice vinegar, and soy sauce all in cake form! My mind went to cold noodles and just knew the flavor of that would pair really well in sweet butter cream form - it came out amazing and, well, very weird, but it was surprisingly delicious! It must have been so frustrating when one of your sheet cakes fell during the competition. How did you recover? Was that the toughest part of the competition for you? There was a moment in the competition when I did drop part of the cake that I was working on! This was really crazy and scary as well as disappointing all the same time. However, I knew I had a lot of my other work accomplished and if we put the ingredients back together and into the oven fast who would be able to catch up - it worked and cooled in time to have us hardly skip a beat in the competition! If you could have done anything differently on the show, what would you have done, if anything? Of course when you finish a competition like this, the question always comes up as to what could I have done stronger, better, more efficiently; what would have helped me to take the win? Coming in runner up was super rewarding, and other than taking the $10,000 home, nearly equally as satisfying in the end. I truly feel the look and design of my cake was executed exactly as I had imagined it to be. The thing I would change most regarding my competition would have been in my round two cake recipe, and that is choosing something less dense and more light and fluffy for the texture. The judges commented that the cake felt somewhat dry and even though the flavors blended nicely using ginger, Asian pear, almond etc., that the texture of the cake was not up to par. In hindsight I next time will choose a cake recipe that not only would stand up in such a large creation but would have a very moist and soft texture as well. I somewhat believe that perhaps this could have been the difference in my taking the win. You mentioned on the show how important your kids are to you and that you wanted them to be proud of you when you appeared on the show. Did they love seeing you on TV? One of the best parts of being on Cake Wars was last Monday night was as the episode aired, having my husband and children at my side and seeing how proud they were of their mommy and all that I do! At 9 years old and 7 years old as well as 3, I know at this stage of their lives they think their mommy is famous! I laugh because while I may be small town famous it is just a tiny drop in the big bucket of fame, but I'll take it if that means my little ones can look at me with adoration! They must have said 1,000,000 times how great I did and how much they love me - this means everything to me and makes my competition a success regardless of the final outcome. 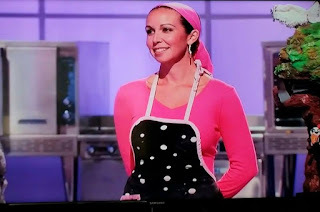 I did a Food Network competition 4 years ago called Sweet Genius, and unfortunately on that show I was the first contestant to be eliminated. I was extremely hard on myself and my children watched me be disappointed and sad to not be able to have shown my talent on that show. 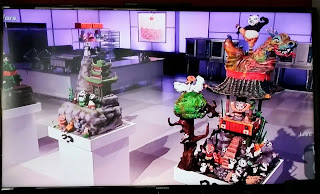 Fast forward to Cake Wars, and through amazing feedback as well as the larger than life cake we were able to create, I have nothing but a smile on my face and pride for how we did! My kids now I am happy and they are so proud of their momma! What advice would you give to future contestants on Cake Wars? If I have any advice to future contestants on Cake Wars, I would simply say have fun! I truly believe it is all about the experience and not so much on the final outcome... Being in LA, California for those 5 days was a whirlwind of crazy drama and energy that I wouldn't trade for anything! If you enjoy yourself, I believe that shines through not only just to the judges but for the audience at home who may be rooting for you and your creative masterpiece! I hope I get a chance to come back and compete again in the near future! Your cake on Cake Wars looked awesome. The cakes featured on your website are amazing as well. What’s your favorite cake that you’ve ever designed? Thanks so much for thinking my Cake Wars cake was spectacular! What was not shown as part of the TV show and edited out was that we had put dry ice in the dragon's mouth so he was breathing out smoke, as well as flickering tea lights with orange painted rice paper looking like the fight scene was on fire on parts of the cake - in person it really was illuminated and interactive and no doubt was my most favorite cake to date of all the cakes I have ever created! In real life while I have made some memorable cakes, I am always somewhat held back by what the client or friend wishes to create; on cake wars I was able to truly let my creativity and imagination run wild and build something totally awesome and awe worthy. I felt through this experience, I really proved to myself how great I know I can be in my craft! Is there anything you’d like the world to know? I would love for the world to know after competing on Cake Wars that I am humbled and so super thankful to have had the opportunity to not only show off my artistic skills but to work alongside some of the most talented and wonderful people in the business! Finally, I have to say that without the love and support of my husband by my side not only would I not have been able to succeed at Cake Wars (he was an amazing partner and helped me build an incredible stand for this towering cake!) but in life as he is and always has been my biggest fan and best friend! Thank you so much for reaching out to share my story and my recent experience! I hope to be able to have many many more chances in life to create and do what I love best --- art in sugar form! Check out more of Samantha’s work at Sweet-Samantha.com, and maybe order yourself a really awesome cake while you’re there!